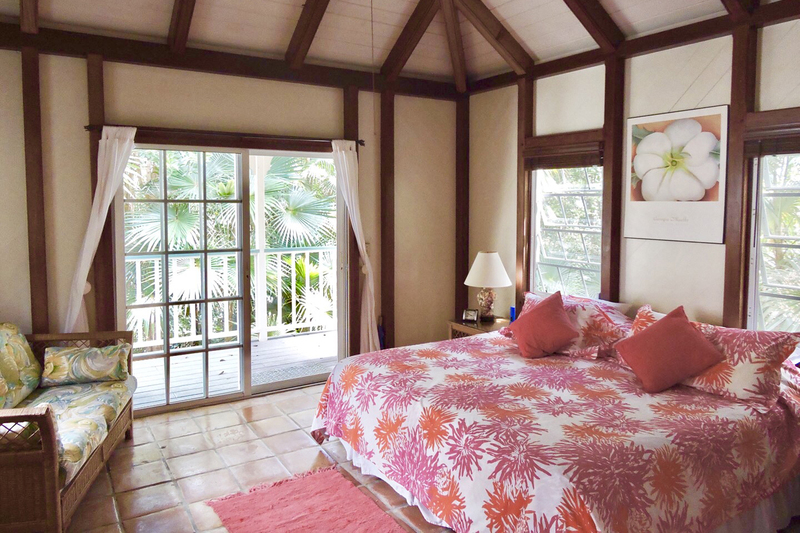 Treetops is a fully equipped rental home on St. John, one of the Caribbean’s most unspoiled treasures. The smallest of the three U.S. Virgin islands, about 60 percent of St. John’s total landmass is encompassed by the Virgin Islands National Park. The park protects the island’s breathtaking natural beauty, from its ridge tops to its reefs. 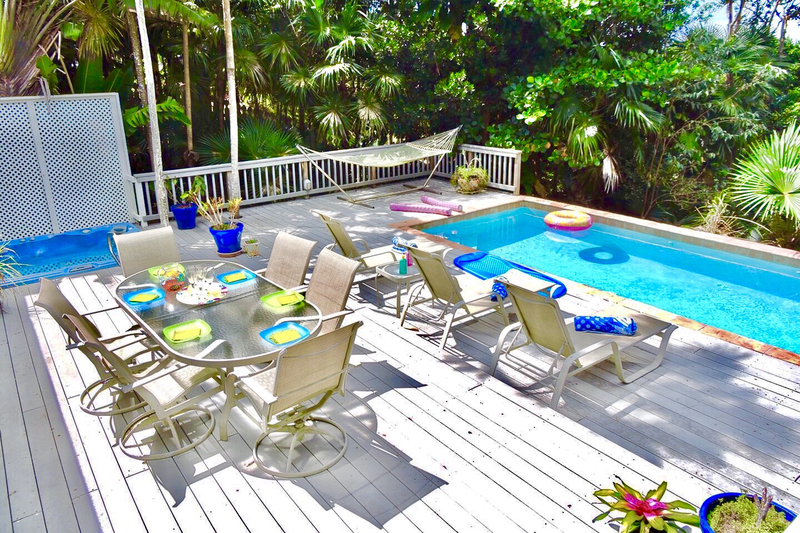 Treetops is located adjacent to park land, providing the villa with lush vegetation and enviable privacy. Mornings on the deck watching the hummingbirds flit past over a cup of coffee. 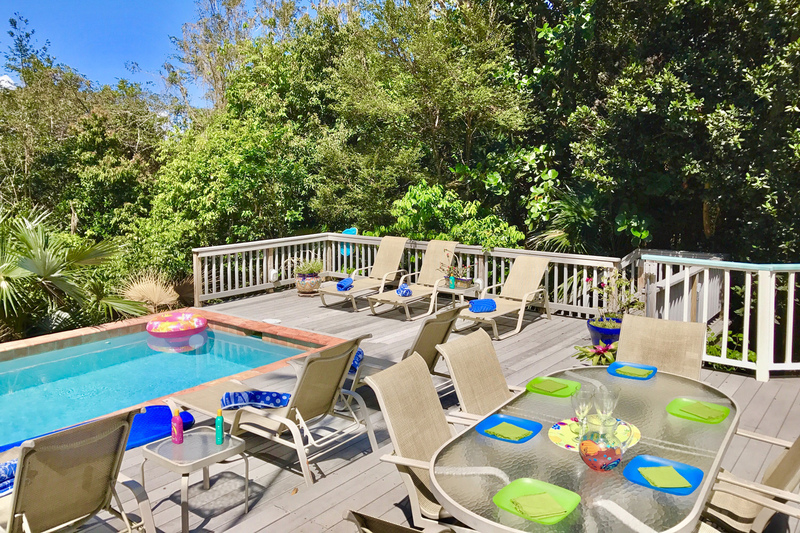 Afternoons spent playing in the pool, napping in the hammock, or lounging poolside with a good book. Evening cocktails or relaxing in the hot tub. And at the end of it all, drift off to sleep to the gentle breeze, the sounds of nature, and the subtle perfume of the native bay rum trees. How will you spend your days on St. John? At Treetops, the possibilities are endless. 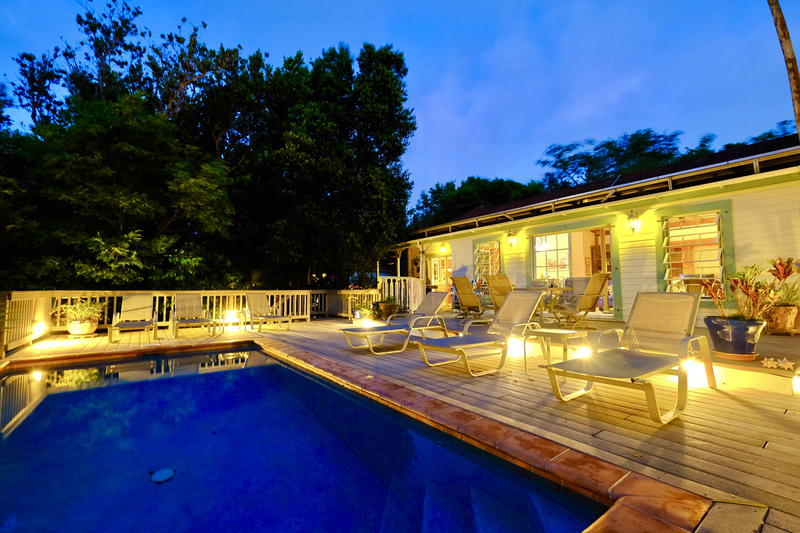 Whether you’re looking for family fun, a relaxing and indulgent honeymoon, or an adventure holiday, Treetops is the perfect base for your Virgin Island explorations. 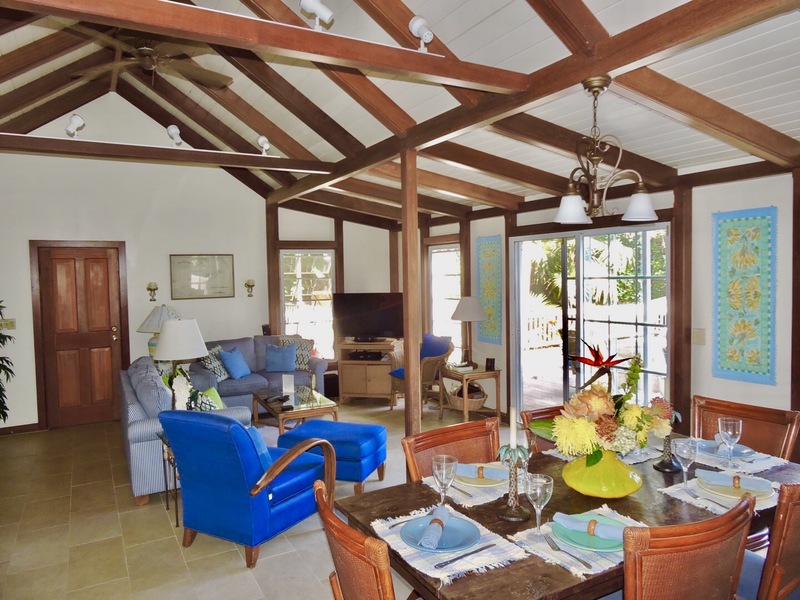 Treetops is furnished with everything you would expect from a vacation villa and more. 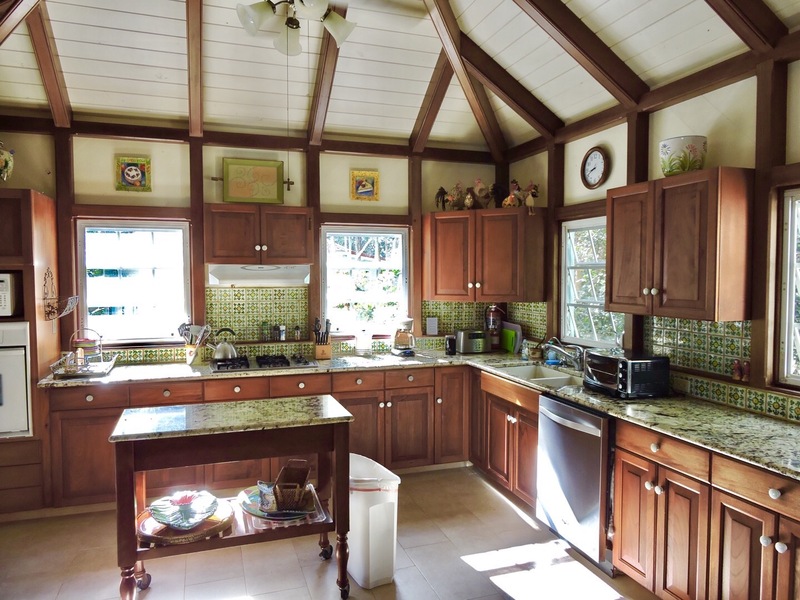 The expansive chef’s kitchen includes all the tools you have at home, as well as some you may not. A large oven, gas stove, microwave, toaster, blender, food processor, toaster oven, electric griddle, slow cooker, electric popcorn popper, coffee grinder, and coffee maker make preparing any meal a breeze, and the wine cooler saves space in the fridge for your groceries. A wide range of both indoor and outdoor flatware and glasses can be found in the cabinets, as well as ample mixing bowls, cutlery and serveware. Placemats and napkins provide the finishing touches to your meals at home, and a washer and dryer mean you can pack less and save space for souvenirs. Cable TV, a DVD player, a Bluetooth speaker, and wifi provide entertainment at night or on the rare occasions when it rains for more than a short time. A gentle tropical breeze. The melodic chirping of frogs and insects. Twinkling stars as far as the eye can see. You may never have known relaxation like this before. Turn off the alarm and sleep until the birds and sun wake you. Be prepared for some of the best sleep of your life at Treetops. 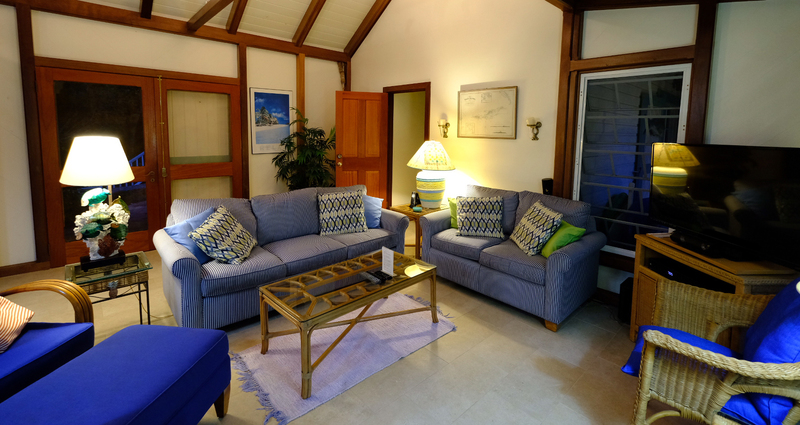 After a full day of beach going, hiking, touring or watersports, the comfort of your home away from home awaits you. 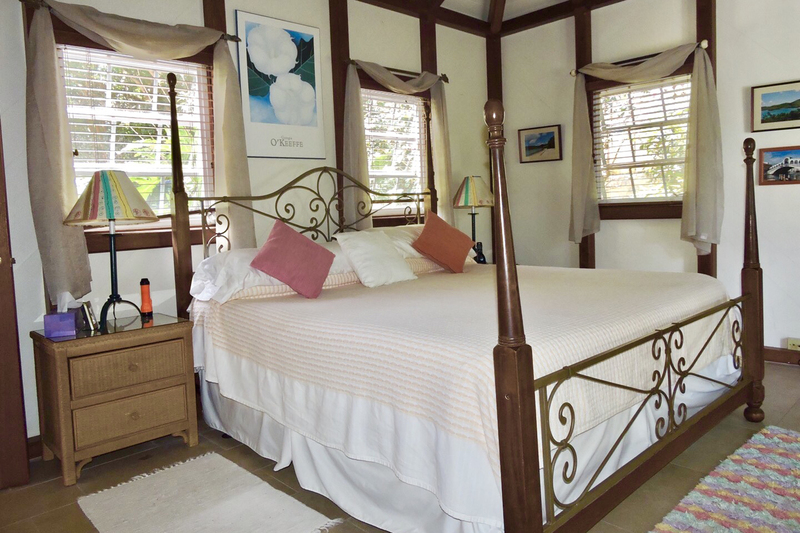 The master bedroom has a king-sized bed and Tempur-Pedic mattress, the lower guestroom has a comfortable king-sized bed, and the upper guestroom can be made up with either two twin beds or one king-sized bed. All sheets are soft, 100 percent cotton, and there are extra blankets in each room for cooler nights. 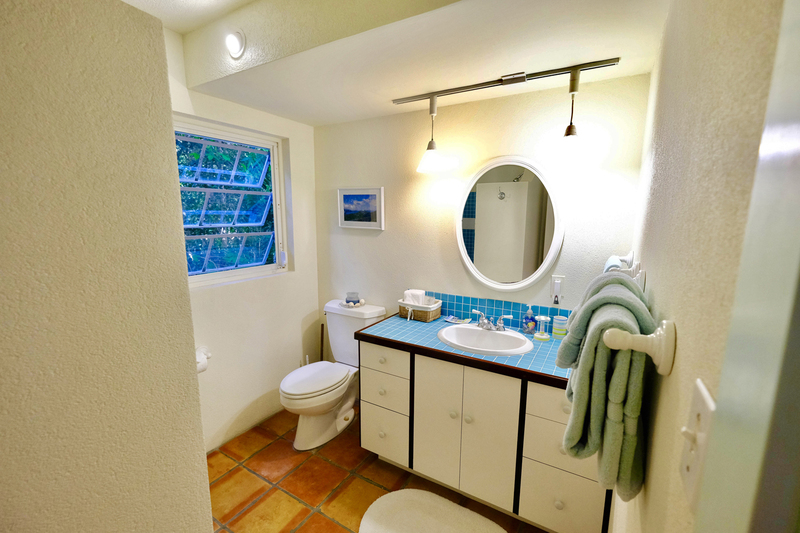 Each of the three bedrooms has an en-suite bathroom with shower, and there is also a hose for rinsing off sandy feet and an outdoor shower for when you feel like being closer to nature. All towels are provided. 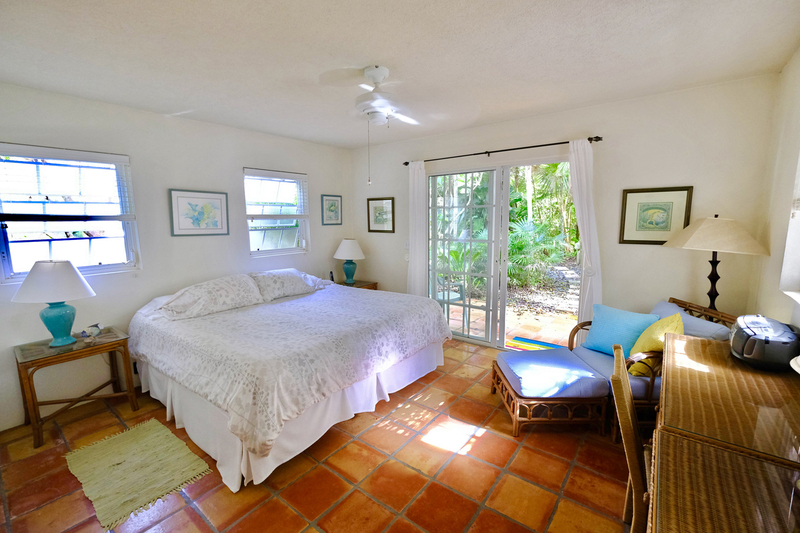 Each room also has a walk-in closet complete with plenty of hangers and shelf space, as well as anti-humidity heaters to keep your clothes fresh.